I don’t normally eat jam. It has to be really special to pique my interest. This jam is tart. It makes your taste buds sit up and pay attention. 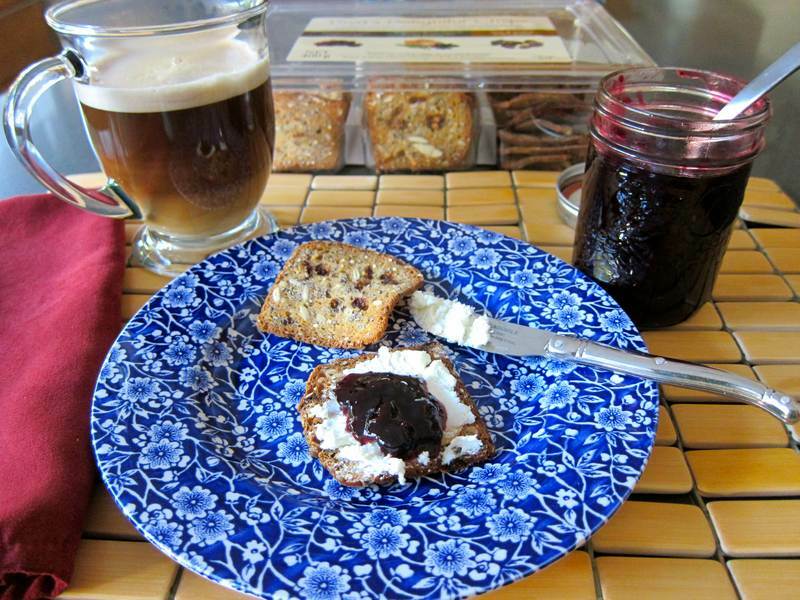 You will want to eat this jam on toast, with goat cheese or cheddar cheese, or on cheese melts. You will want to use this jam in recipes for lamb or chicken, or to accompany cooked meats, or even in sandwiches. This jam is just wonderful. It will make your day. Place blackcurrants in a large, heavy pot. Add the sugar, zest and supreme of lemon. Heat slowly until it is just near boiling point. Turn the heat down, and simmer for 20-30 minutes until the jam begins to set. 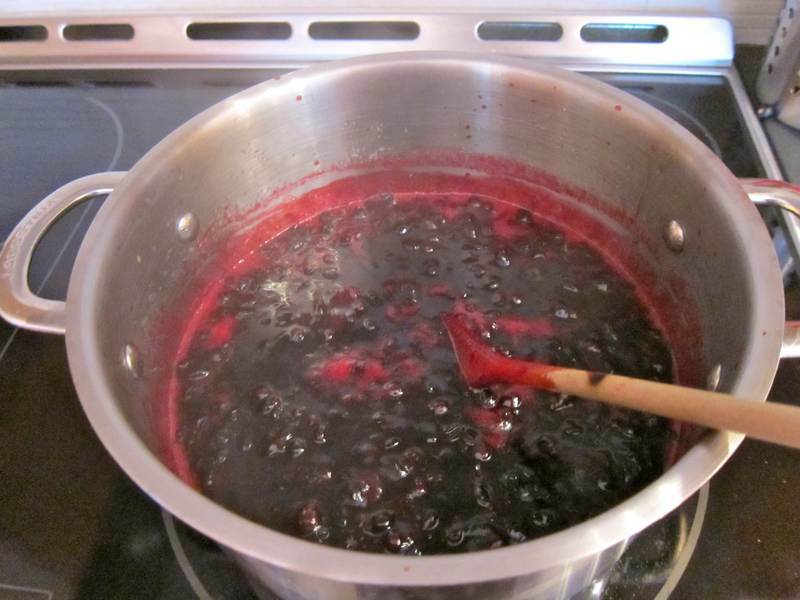 Ladle the jam into the jars, leaving a 1/2 to 3/4-inch space at the top. Cover with the parchment paper, and allow the jam to come to room temperature. Refrigerate. Seal and freeze what you are not using or giving away, making sure there is room in the jar for expansion caused by freezing. Season a rack of lamb with salt and pepper. Spread a few tablespoons of Blackcurrant Jam over the lamb. Sprinkle with thinly sliced garlic cloves, then roast for 15-20 minutes at 400F. In case you think this was all my brilliant idea, think again. This recipe was generously shared by my food-expert sister, Julia Richardson. 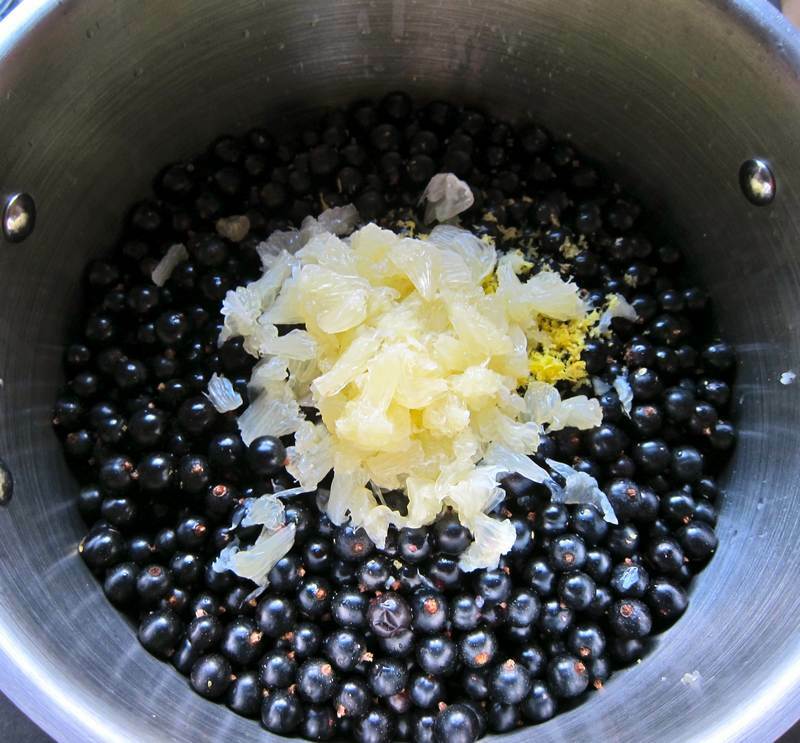 Go on over to Jittery Cook for her Blackcurrant Vodka recipe. Right around New Year 2013, you’ll be glad you did! These stunning blackcurrants hail from the ecological, country farm, Paradis des Fruits, in Dunham Quebec, where fruit picking is a fun family activity. Call ahead to verify availability. 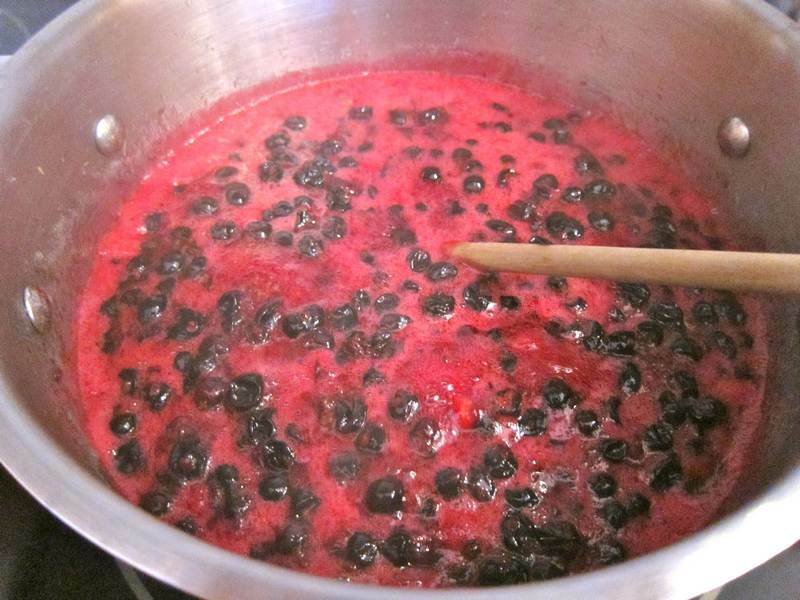 berries are plentiful this year and am now getting ready to make my third batch of jam. we have a berry here called saskatoons and I have been combining the blackcurrants and saskatoons together using your recipe love it. Good to hear Jean! I’m so crazy about homemade blackcurrant jam. I love having a steady supply year round.